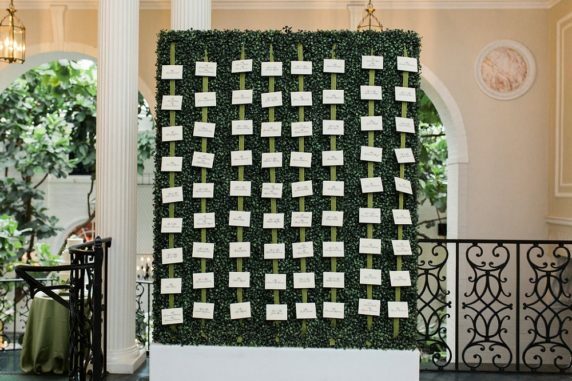 A huge part of making sure your guests have the best experience possible is organizing the seating chart. Start making your chart as early as you can, once you have a solid number of RSVPs, and don’t be afraid to let your friends connect with new people. Before you begin, check out our professional wedding planning tips on how to manage the seating situation at your wedding! Seating can sometimes make even the calmest couples lose their cool. If you are having trouble fitting your guest list perfectly into your floor plan, mix up your seating chart by grouping guests with similar interests together, even if they may not know one another. Chances are that if you and your fiancé think they will hit off, your guests will have a great time meeting new people and making connections — Sheila Weiner of The Event Group. See the entire feature here!